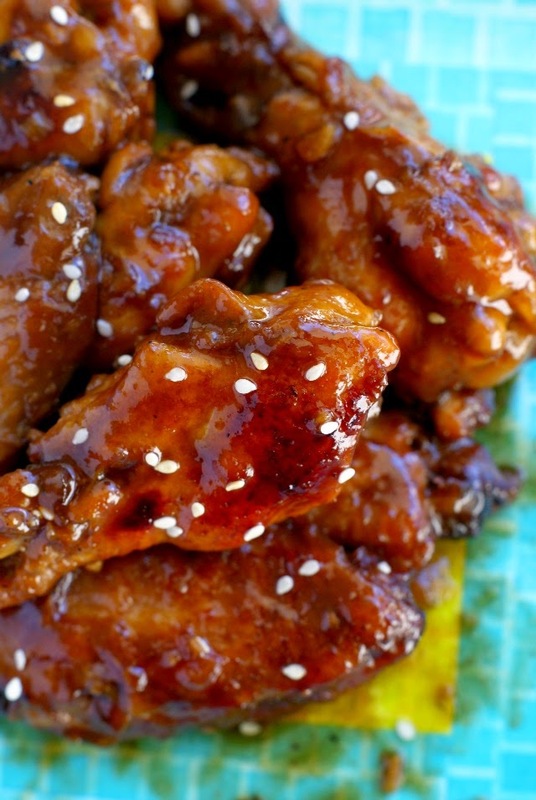 Slow Cooker Sticky Chicken Wings are finger-licking good, slow-cooked, easy to make wings that are covered in a sweet and tangy sauce and then sprinkled with sesame seeds. Oh, delicious chicken wings, how do I love thee? Let me count the ways. Haha. Don't you just love wings? They are the epitome of bar food, an appetizer everyone loves to eat, and perfectly suited for customizing with your favorite saucy flavors. We were ordering them take-out for a while there, but then they started being delivered in less than desirable conditions. Either too soggy, too greasy, too rubbery...just not good. That's why I've decided to start making them more often at home. I, myself, am a fan of teriyaki wings, while my honey enjoys buffalo wings. This recipe has my name written all over it. The sauce is out of this world and these are truly finger-licking good! The best part? Oh yeah. You know it. They're cooked in the crock pot. That means no fuss and so easy to pull together! Everything goes into the crock pot and a couple hours later you'll be chowing down on sticky wings! Yes! Place the chicken wings in your slow cooker. In a bowl, whisk together the soy sauce, vinegar, brown sugar, honey, garlic, hot sauce, ginger, onion powder and black pepper. Pour the sauce over the wings and toss to coat. Cover and cook on high for 2 hours, stirring halfway throughout the cook time. In a small bowl, stir together the cornstarch and water to make a slurry. Stir the slurry into the slow cooker. Cover and cook on high for an additional 15 minutes, or until the sauce has thickened. 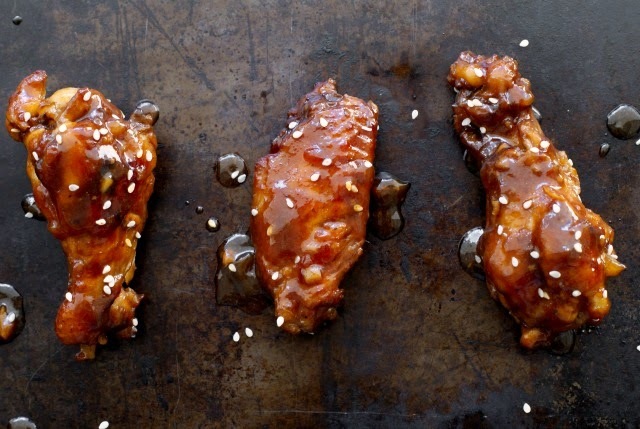 Broil the chicken wings for 3-4 minutes to crisp them up a little, drizzle with more sauce, and garnish with sesame seeds. To speed up the process of thickening the sauce, pour the juices from the slow cooker into a small saucepan, stir in the slurry, and cook for a few minutes until thickened then pour back over the wings. Does it matter what size slow cooker one has? I have a 6 Qt. My slow cooker has preset times...4 hours, 6 hours, and 8. Do you think it is alright to adapt the timing to the settings on my crock pot? Made this recipe yesterday using drumsticks. Had most everything on hand, except hot sauce, had to substitute chili powder, a rounded 1/4 tsp. No onion powder, used about a half cup minced fresh onion. Added 2 Tablespoons maple syrup as we like sweeter sauce. No other changes. This is a KEEPER RECIPE.